Tung FortHeight : 3000 ft.
As the name suggests, we may assume that the trek of this fort is very difficult, but it�s very easy. The fort Tung(Kathingad) was built to protect the region of Pavan Maval. This fort was built with an intention to keep watch on transport from Bor Ghat. From this fort we can easily locate Lohgad, Visapur & Pavan Maval. This fort was not as significant as others in the history. In 1657, it became a part of Swarajya with all other forts situated in Maval region. In 1660, Netaji Palkar was appointed to protect this region. In 1665, Jaysingh invaded this region. Dilerkhan and others destroyed the villages around Tung & Tikona, but were unable to conquer these forts. Then, according to Treaty of Purandar (signed on 12th June 1665), Kubadkhan with Halalkhan and others took over fort on 18th June. As the top of the fort is very small, it takes only 1 hour to see it. Way towards the fort goes along the temple of Maruti. From here we can go further by steps. After few minutes we reach at Hanuman Mandir. Next to this is the main entrance to the fort. Through this we can go at the top. At right side we see Ganesh Mandir. At the backside, we see water trench. From here we head towards citadel. Here we see temple of Tung Devi. Opposite to it is a cave in ground. Here two or three people can be accommodated. It is a one-day trek. All ways to the fort go from the base village Tungvadi. After 45 minutes we reach at the top. One hour is enough to see the fort. Get down at Lonavala station. From here board a bus for Bhamburde or Ambavne. Alight at Ghusalkhamb. From here, after walking for 1 and 1/2 hours, we reach Tungvadi. Distance between Ghusalkhamb and Tungvadi is 8 km. One can also board Kamshet-Morve bus from Tikona Peth at 11 a.m. and get down at Tungvadi stop. After 45 minutes we reach Tungvadi. Many people plan trek of Tung & Tikona together. 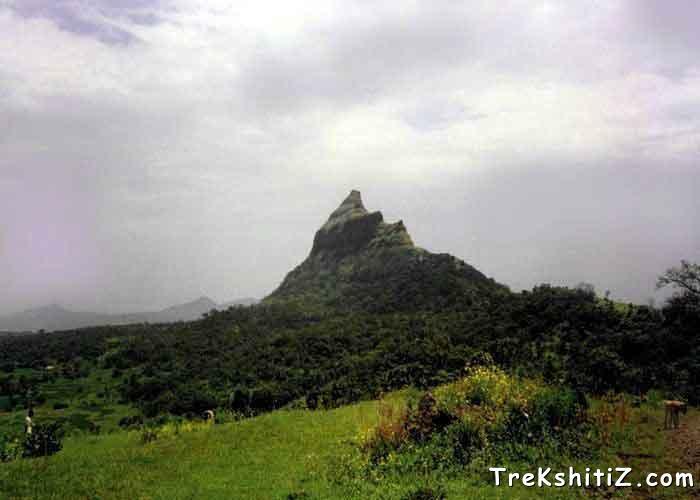 Trekkers preferably visit Tikona first. From Tikona Peth (village at base of Tikona) one should go towards Kale Colony. From Bramhnoli village we can reach Kevre gaon by launch. From here we reach Tungvadi within 20 minutes. 6-7 people can stay in Maruti Mandir. Around 20 people can stay in Bhairoba Mandir.